The first tab you see is the Access Key. 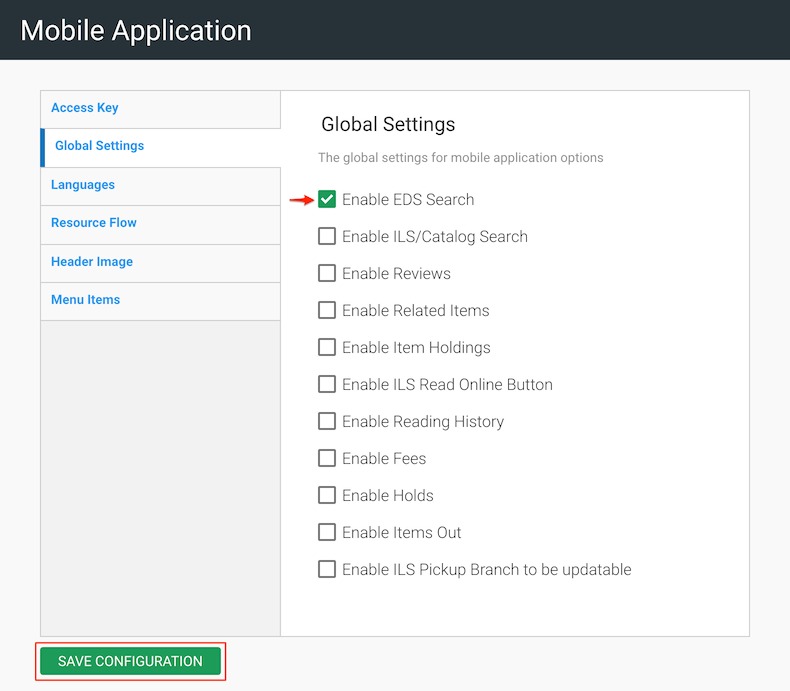 This key is set by the system and allows the mobile application to access the website. This setting is entered by our Stacks Support team. Toggle the feature(s) you wish to only display in the default language of the mobile device they are being viewed on. 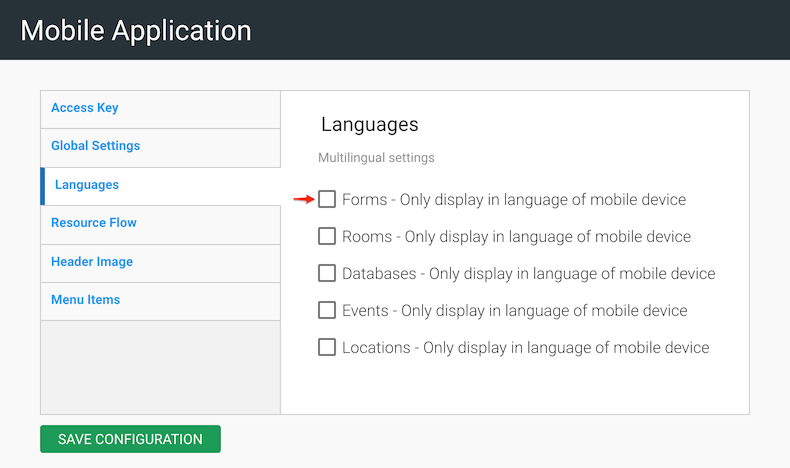 For Example, if the mobile device in question is used in the French language, the features selected here will display in French. Select the "Resource Flow" you would like to display on the homepage of the app from the drop-down menu. Note: You can select "None" if you do not wish to have a Resource Flow display on the homepage.